Ashorne Hill is a beautiful venue in the Warwickshire countryside, offering a space for conferences and events. It has also been a training provider for a range of global organisations for over fifty years. 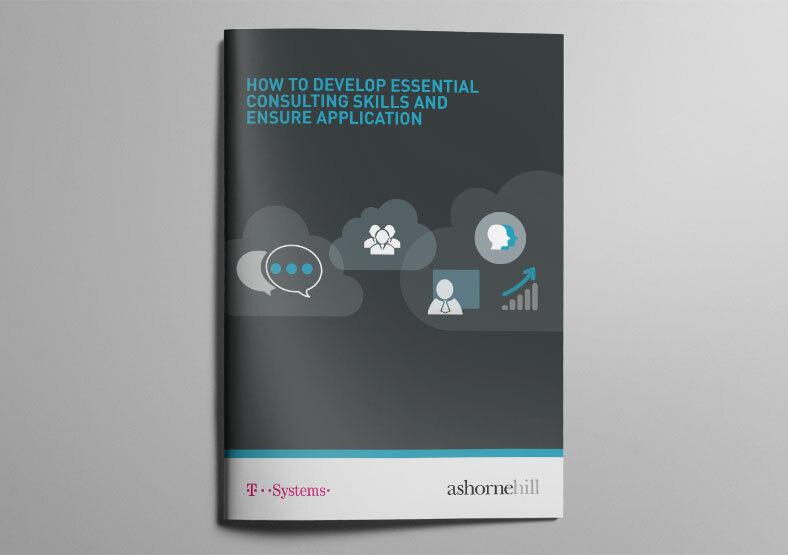 Ashorne came to us needing a suite of 12 brochures for use at events and exhibitions. 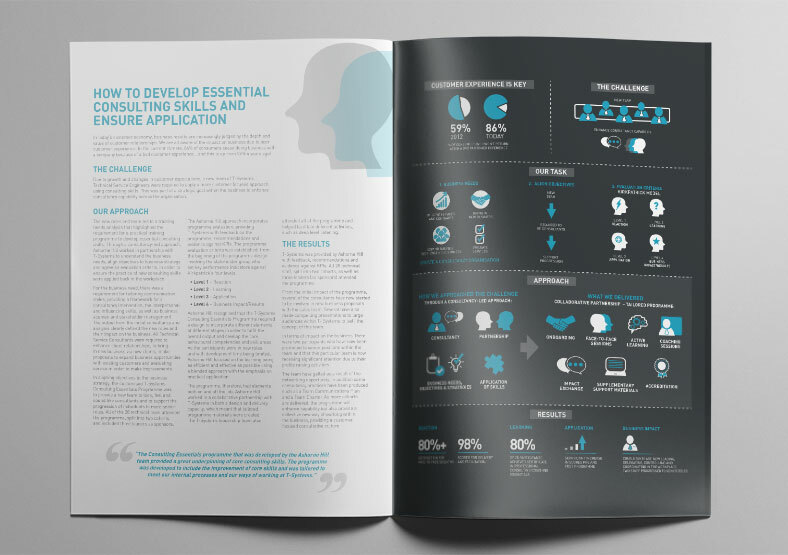 Each brochure provides a detailed case study and an infographic. 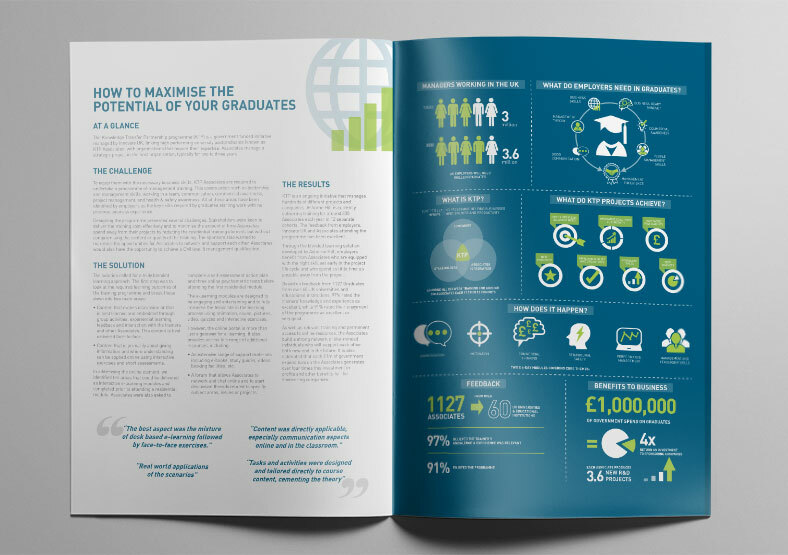 We created the infographics from scratch, interpreting text into visual diagrams which clearly and succinctly display processes and outcomes. We used colours to differentiate each brochure, while maintaining a similar style throughout the set. Ashorne Hill's marketing team went on to use the brochures both digitally and as printed booklets.